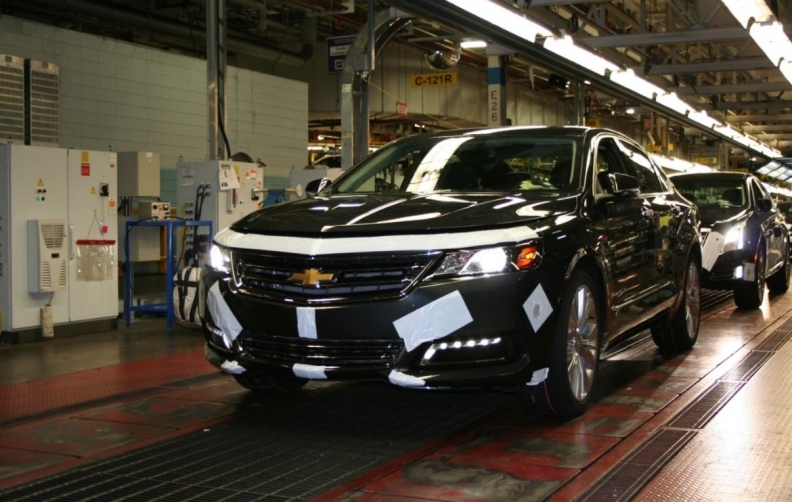 The Oshawa plant produces the Chevy Impala, among other vehicles. OTTAWA -- General Motors plans to hire about 700 engineers in Canada as it expands r&d into self-driving cars and other technology. The additional workers, to be based in Oshawa and Markham, suburbs of Toronto, will underpin the push by the federal and provincial governments to boost innovation and renew manufacturing and high-tech development in the economy of Canada’s most populous province and one-time economic engine. “We selected Canada for this expansion because of its clear capacity for innovation, proven talent and strong ecosystem of great universities, startups and innovative suppliers,” GM Executive Vice President Mark Reuss said in a statement. The engineering positions will focus on autonomous-vehicle software and controls development, safety technology, infotainment and connected vehicle technology, GM said. As part of the expansion, the company will open a new Automotive Software Development Center in Markham. Ontario’s “dynamic new innovation cluster” will support the automotive innovation work, said Steve Carlisle, president of General Motors Canada. Manufacturing, which has been in a long-term decline in the country, is still one of Ontario’s key sectors, employing 750,000. There are signs manufacturing is rebounding amid a lower Canadian dollar. Editor's note: GM is expanding to reach 1,000 engineering jobs in Canada. An earlier version of this story from Reuters incorrectly quantified the number of new jobs.